Recovery from addiction is an ongoing journey, and relapse is often a part of that process. Relapse shouldn’t be viewed as a failure, but rather as an opportunity for learning and growth. Relapse recovery for specific drugs. Do You Need Help for a Relapse? Who Answers? to find a treatment program to help you or your loved one recover from a relapse. If you relapse, you are not alone. Many other people have gone through the same thing. A relapse episode may indicate that you need a new type of addiction treatment or that your current treatment plan needs to be adjusted. Avoiding the symptoms of acute and post-acute withdrawal. Exposure to drugs or alcohol. The presence of triggers associated with drug or alcohol use (e.g., encountering paraphernalia, non-sober friends, an old dealer, previous locations of use). The belief that you can use again in moderation after a period of sobriety. Negative emotions, such as sadness, anger, or boredom. Everyone deals with emotions and circumstances differently. Try to remain positive throughout your recovery process, including after a relapse, and to surround yourself with a strong support system. Who Answers? to speak to a treatment support specialist about relapse prevention and recovery programs. A specialist can offer options based on your insurance. If you or someone you love relapses on drugs or alcohol, don’t panic. It doesn’t mean that the user will necessarily return to chronic and debilitating use. Stop drinking or using drugs: The sooner you stop using, the easier it will be to get sober again. Recognize the seriousness of the relapse: Even if the relapse was small, acknowledge that returning to drug or alcohol use can have severe consequences. Think about why it happened: If you can pinpoint the reason for the relapse, you will be better equipped to prevent relapse in the future. Questions to ask include: Was the relapse related to a specific event? Were you bored? Were you having problems with a job, family, or friends? Was there a crisis? Contact someone for help: Reach out to a sponsor, therapist, friend, or family member. Don’t keep your relapse to yourself – it will only make things worse. Get back into treatment: Even if you’ve completed a recovery program, you can always learn something new. Perhaps the previous treatment wasn’t the right fit and you need to discuss other rehab options with an addiction professional, therapist, or your sponsor. Minor relapses or slip-ups require minor interventions, such as a course of intensive outpatient treatment, while major, long-lasting relapses may require detox and inpatient rehab. Some recovery programs offer refresher courses, or the program will tailor treatment to your particular needs and situation if you relapse. Select treatment centers may even allow you to come back cost-free if you relapse after completing a 90-day program. Ask about each program’s policies. Consider whether there is an undiagnosed mental illness or trauma. A co-occurring substance use disorder and mental illness (also known as a dual diagnosis) may require a comprehensive program that can treat both conditions simultaneously. Medications can also be used to help manage your cravings, depending on the drug of abuse. Disulfiram (Antabuse) and acamprosate may be used to help with alcohol abuse, while methadone, buprenorphine, and naltrexone may be used to help with opioid abuse. Relapse prevention plans consist of ongoing addiction treatment and education that helps you to build and use healthy coping skills. Plans may vary depending on the specific type of substance addiction. 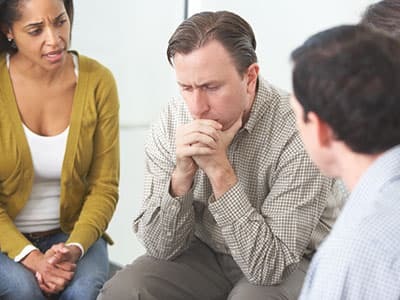 If you don’t currently follow a relapse prevention plan, consider developing one, either with the help of a treatment team, therapist, or sponsor. For help finding the best recovery program for you, please call our helpline today at 1-888-319-2606 Who Answers? . A treatment support advisor is available 24 hours a day, 7 days a week.